Home / News / Poole Scouts Scrapheap Challenge Winners 2018! Poole Scouts Scrapheap Challenge Winners 2018! 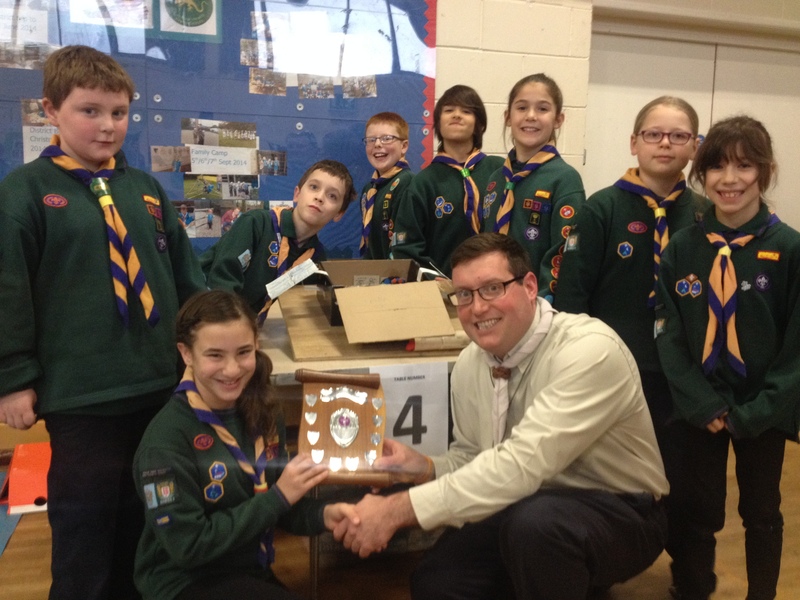 We are very proud of all the Cubs who gave up a Saturday afternoon, to enter the Poole District Scrapheap Challenge. Up against 13 other Cub packs, they were given the theme of space and asked to build a space station. With judging based not only on the build itself, but teamwork, behaviour and tidying up. From the outside their finished design looked quite simple, but opened out into a huge variety of detail, including a plant growing to represent the experiments they do on the ISS. District Champions 2018… well done 3rd Poole Cubs! Next post: Well done Scrapheap team!